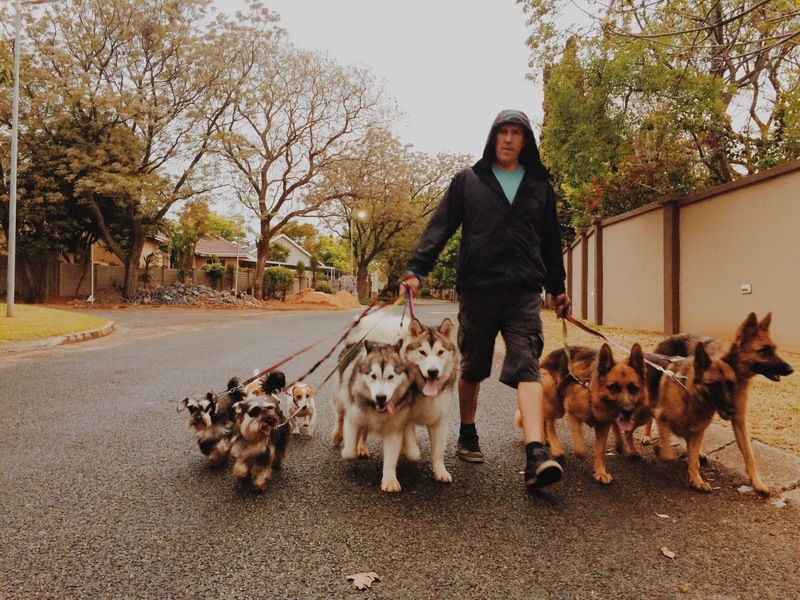 Dog Walker Randburg – Due to a small scheduling restriction, the walkers at Your Hound decided we would do two morning walks in one. We walked a total of nine dogs at once! We had Schnauzers Chloe and Bellamy, Alaskan Malamutes Dulux and Belle, and German Shepherds Penny, Zorin and Tawnee. Jack Russells Ozzy and Roxy joined in the fun too! It was a bit of a crazy morning, but the dogs seemed to have a blast! It was like a little doggy party on the streets of Johannesburg. The Schnauzers were energetic and enthusiastic, the Jack Russells were calm and content, the Malamutes were very playful and happy, and the German Shepherds were curious and relaxed. People driving past were very curious about this big pack of dogs, and gave everyone smiles and waves. It was nice for the dogs to all be able to walk together. Dulux and Belle joined the pack and seemed to really love being with the other dogs. They also got to ride in the car with Ozzy and Roxy, which was quite a lot of fun. We’re thinking we might be reuniting this pack in the very near future! 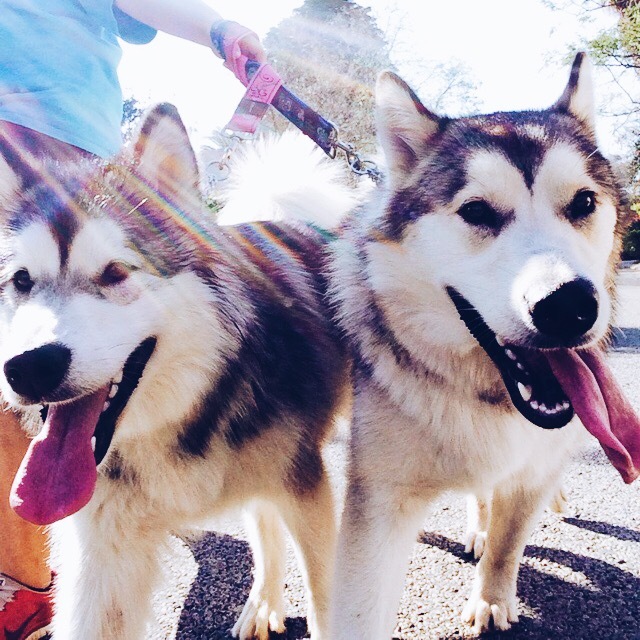 This entry was posted in Dog Walking and tagged #YourHound_SA, animals, city streets, Dog Pack, Dog walking, Early mornings, entertainment, exercise, Happy Dogs, Joburg streets, Johannesburg, love, Pets, Socializing, Sunny Johannesburg, your hound. Bookmark the permalink.